The existing Clean Development Mechanism and Joint Implementation offset programs could and should be folded into the post-2020 international climate agreement being negotiated in Lima this week and in Paris in 2015, according to market observers. But they need some work first. 8 December 2014 | LIMA | Peru | The Clean Development Mechanism (CDM) has its share of critics and is in serious need of reform, but can still play a valuable role in supporting national climate policies and facilitating the flow of carbon finance, according to market observers. 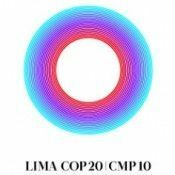 With the 20th Conference of Parties (COP 20) climate negotiations here in Lima laying the groundwork for the climate deal expected to be finalized during the Paris COP in 2015, much of the discussion has centered on the potential new market mechanisms that could emerge from the negotiations. UPDATE: The new ADP negotiating text was released Monday morning, and is available here. However, Miles Austin, Executive Director of the Climate Markets and Investment Association, questioned the need for new market mechanisms, given the ones that currently exist, including the CDM and the Joint Implementation. The CDM allows developed (Annex 1) countries to purchase emissions reductions from certain projects established in developing (Annex 2) countries. However, prices for CDM offsets declined to well below the $1 per tonne mark as the first commitment period of the Kyoto Protocol was coming to an end in 2012. That year, the high-level panel for the CDM Policy Dialogue made recommendations to stabilize the program, including increasing the ambition of emission reduction targets to create demand and applying the CDM’s standards and methodologies to facilitate the rapid implementation of the Green Climate Fund (GCF). Additional suggestions included allowing any countries to use the emission reductions generated by the CDM rather than just those with mitigation targets under the Kyoto Protocol and reforming the CDM’s operations and governance to ensure more accountability and efficiency. The panel also proposed expanding the CDM to test sector-wide approaches that could mitigate emissions at scale, such as reducing emissions from deforestation the CDM excludes all land use, land-use change and forestry activities, with the exception of afforestation and reforestation activities. Many of these recommendations, though, have not been implemented despite the endorsement of the UNFCCC parties, Austin observed. Important CDM reforms must happen to transfer these mechanisms into a post-2020 agreement, said Philipp Hauser, Vice-President of Carbon Markets for GDF Suez Energy Latin America. Access to the CDM program and offsets must be opened to any interested parties, regardless of whether they are parties to the Kyoto Protocol or not, he said. The CDM must also be revamped to reduce the cost and bureaucracy of the mechanism since issuance fees the costs of covering the issuing of Certified Emissions Reductions (CERs) generated by the project activity of 15 cents per CER might be high for developing countries, Hauser said. The International Emissions Trading Association (IETA) developed proposed language for a new agreement allowing parties to cooperate in achieving their Intended Nationally Determined Contributions (INDCs). This would include a unified international transfer system that enables parties to transfer portions of their contributions to other parties through carbon instruments of their choice, including carbon offsets via the CDM and REDD+ (Reducing Emissions from Deforestation and Degradation), said IETA President and CEO Dirk Forrister. Aside from the risk of manipulation or outright theft of permits from weak registries, the environmental integrity risk is “even more lethal” to society’s belief in the fight against climate change, he said. “That definitely calls for, in our view, unifying the different crediting systems into one singular umbrella, which you can rebrand as new mechanisms,” Chauveau said. The JI program is similar to the CDM, but is designated for offset projects in developed (Annex 1) countries. JI projects generate offsets called Emission Reduction Units and follow two paths, with Track 1 projects approved and offsets issued by the host countries themselves and Track 2 projects approved by the Joint Implementation Supervisory Committee (JISC) an international body that functions like the CDM Executive Board. The majority of JI projects are developed under Track 1, which has raised questions about potential threats to the environmental integrity of the program since countries can approve projects and issue offsets with little international supervision. The JI program does need reform, particularly with regard to the potential Track 1 environmental integrity issues, Austin said. The CDM, for example, was used as a political football during COP 17 in Durban, with certain countries threatening to end the CDM, Austin said. Even though they could not achieve the consensus required to disband the program, the fact that they publicly made such threats makes it difficult to convince investment boards at large banks and other capital providers to invest in CDM projects, he said. The EU is the largest buyer of CERs and has been consistently pushing for reform of the CDM. The Executive Board has resisted some of the requested reforms, which is part of the reason the EU has restricted CDM offsets to least-developed countries excluding advanced developing countries such as China and India. But the EU has also been “somewhat blind” to the fact that this is inherently a multilateral process and it will not always get want it wants, which gets in the way of reaching a balanced agreement, Austin observed. Carbon pricing is the tool of choice to ensure that the rise in global temperatures is limited to below 2 degrees Celsius in an economically efficient way, Hauser said. GDF Suez does not focus on the currently low price of carbon, but applies an undisclosed internal carbon price, he said. GDF Suez and Solvay were both signatories to the World Bank’s statement on carbon pricing, which was published in June, but gained momentum in September during the United Nations Secretary-General’s Climate Summit when 74 countries, 23 subnational jurisdictions and more than 1,000 companies and investors expressed support for a price on carbon. Smart combinations of existing and emerging policies and tools such as the CDM and Nationally Appropriate Mitigation Actions (NAMAs) with multilateral development bank (MDB), GCF or private-sector financing such as the GDF Suez’s 2.5 billion Green Bond issued in May 2014 to finance development of renewable energy projects and its energy efficiency activity gives value to emissions reductions, Hauser said. “It’s all things we have on the table, but if we combine them, we can do very interesting things,” he said. The company is already engaging such combinations. It has 16 projects registered under the CDM, 11 of which are supported by NAMAs and seven of which are financed by MDBs. “There’s nothing which prevents you from combining these tools and this is what we think is necessary,” he said. The NAMAs create the enabling policy needed to finance these projects, which then generate emissions reductions that can be measured, reported and verified using current tools, he said.